Three books this week; two in the mail and one from the library. The first one I got from Paperbackswap after Samantha recommended it to me on Twitter. 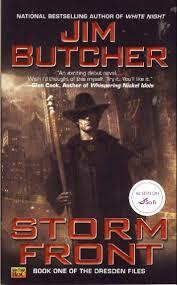 Harry Dresden is the best at what he does. Well, technically, he’s the only at what he does. So when the Chicago P.D. has a case that transcends mortal creativity or capability, they come to him for answers. For the “everyday” world is actually full of strange and magical things – and most of them don’t play well with humans. That’s where Harry comes in. Takes a wizard to catch a – well, whatever. There’s just one problem. Business, to put it mildly, stinks. So when the police bring him in to consult on a grisly double murder committed with black magic, Harry’s seeing dollar signs. But where there’s black magic, there’s a black mage behind it. And now that mage knows Harry’s name. And that’s when things start to get … interesting. The second book came from my publicist contact for a blog tour. The body of a disgraced college lecturer Gavin Miller is found on an abandoned railway line by a woman out walking her dog early one winter morning. In the four years since Miller’s dismissal for sexual misconduct, he’s been living like a hermit, listening to music from his college days and existing as frugally as possible on the outskirts of a small village. So where did he get the five thousand pounds found in his pocket? Leading the investigation, Detective Chief Inspector Alan Banks begins to suspect that the victim’s past may be connected to his death. Forty years earlier the dead man attended a university that was a hotbed of militant protest and divisive, bitter politics. And as the seasoned detective well knows, some grudges are never forgotten – or forgiven. Just as Banks is about to break the case open, his superior warns him to back off or risk losing the promotion he has been promised. Yet Banks isn’t about to stop, even if it means risking his career altogether. He’s certain there’s more to the mystery than meets the eye, and more skeletons to uncover before the case can finally be closed. In Then Everything Changed, Jeff Greenfield created a “riveting” (The New York Times), “captivating” (Doris Kearns Goodwin) exploration of three modern political alternate histories. Based on memoirs, histories, oral histories, fresh reporting, and his own deep knowledge of the players, the book looked at the tiny hinges of history – and the extraordinary changes that would have resulted if they had gone another way. Now Greenfield presents him most compelling narrative of all, about the historical event that has riveted us for fifty years. 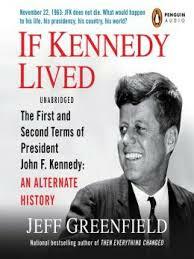 What if John F. Kennedy had not been killed on that fateful day? What would the 1964 campaign have looked like? Would changes have been made to the ticket? How would a Kennedy second term have approached Vietnam, civil rights, the Cold War? What would Kennedy have had to give up – and what would he have gained? 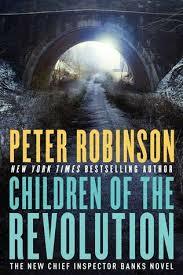 With powerful enemies against him, would his indiscreet private life finally have become public? How would his health issues have affected his presidency? And what small turns of fate in the days and years before Dallas might have kept him from ever reaching the White House in the first place? As in Then Everything Changed, the answers Greenfield provides, the scenarios he develops, are startlingly realistic, rich in detail, shocking in their projections, but always deeply, remarkably plausible – and a pure delight to read. It is a tour de force of American political history. Enjoy your books and have a good week. I’m always amazed that people have time for Twitter. You guys are super moms!